I was really waiting for the launch of Tom Ford Spring 2013 beauty campaign. It seems that the main look will be out around march, but this new collection of Lip Color Shine’s are the new lip collection for spring 2013. As one would expect for spring, this is a sheer, juicy lip stick that sings “spring”. The case is in the signature Tom Ford cognac and gold casing, but this one is more slimline. Still very chic. It has luxury written all over it. If I had easy access to these beauties, I would already have picked up more for my collection. They have a range of colours, from neutral tans, a bouquet of pinks and a few brights. Smitten has a shimmer/micro glitter in it, while other shades do not. It is a comprehensive collection that will definitely find favour with Tom Ford enthusiasts. Smitten, since it it has such a beautiful translucent quality, can layer over your matte lipsticks or lip stains to create a new shade. Smitten is easy to wear – its fresh and girly, but can change in the wink of a smokey eye to a luscious temptress! 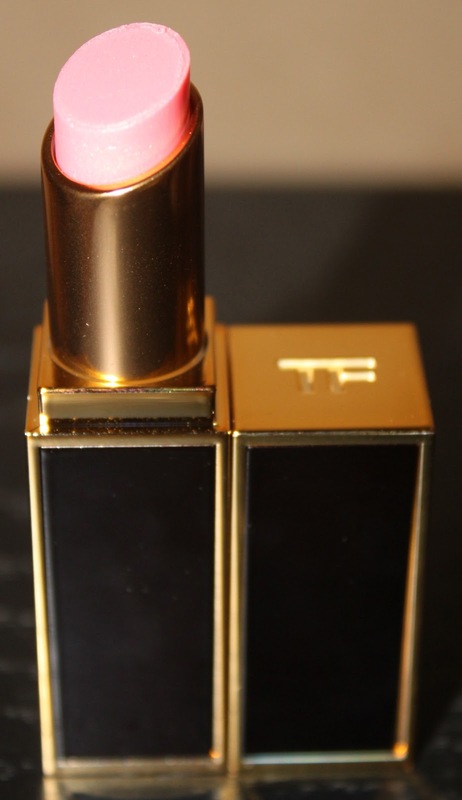 So expect sheer luscious lips drenched in high shine, with the new Tom Ford Lip Color Shines. Which brands do you love for their sheer lipsticks? My fave sheer lipstick range is from Chanel Rouge Coco Shine, it works amazingly on me! Have you tried any lipstick from that range? The two formula's both give a sheer colour, but TF is thicker in texture with a more high shine gloss finish. Chanel Coco shine is less sticky, more like the Chantecaille Lip Chic. Some might find TF too tacky, but I love wearing both formula's. I think that if there is an unique shade that you love in the TF , worth a try! Let me know what you decide.